Old Navy is one of the most popular family-oriented clothing apparel brands in the United States. Founded in 1994, this brand has grown in popularity, with over 1,000 locations spread out over the country. A job here can be a great way to get started in a career in the fashion industry, but before you apply make sure that you have all the information that you need. This will give you an edge over your competition. 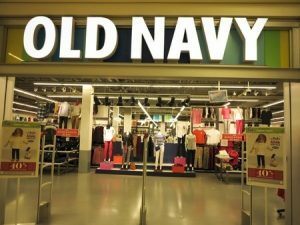 Old Navy, thanks to its size, has a number of job opportunities available. Entry level positions include cashiers, store associates, stock clerks, and stock leads. They also have a need for shift supervisors, assistant managers, managers, quality assurance specialists, loss prevention specialists, and many corporate roles. Entry jobs start out around minimum wage or just over that. This can go up to around $9 per hour over time. Those that work with stock and store experience jobs can make between $10 and $12 per hour. Supervisors make around the same. Assistant managers tend to make about $40,000 each year, while general managers start out at about $60,000 a year. After experience and worth to the company is established, this can go up. The corporate headquarters for Old Navy is located in San Francisco, California. Many of the corporate positions are located here, although travel is often required. Other jobs, like designers and production specialists, are mostly based here as well. If you live in the Bay Area or are planning to relocate here, these may be opportunities that you would like to consider. Old Navy is an extremely popular clothing line. They have styles and sizes for everyone in the family, and they have a trendy, fresh feel to them. And because they are part of a larger overall company—Gap Inc.—they have a stable brand that is in no danger of disappearing. For those dedicated to working here, there is quite a bit of job stability, too. They do offer benefits to their qualified employees. These include employee stock purchase plans, 401(k) retirement accounts, paid time off, medical insurance and prescription drug coverage, and discounts on merchandise items within the store. You must be 16 years old to apply for a part time job at Old Navy. Fulltime applicant must be 18 years of age or older. A high school diploma is not a strict requirement, but it is helpful, especially if you want to move up within the company. It’s a must if you ever want to be a manager or higher, so it’s a good idea to finish high school or get your GED. You don’t need a college degree unless you are applying for a position in corporate that requires one. Finally, you should have a great manner when it comes to working with customers and be able to act professionally. Old Navy employees are expected to be at work and on time whenever they are scheduled for a shift. You should be dressed appropriately, in Old Navy brand clothing, preferably. 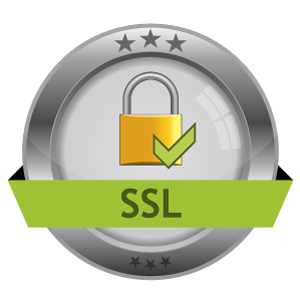 You should also have a thorough knowledge of the store and its products, and also be on the lookout and on the guard to help the company with loss prevention efforts. In order to get a job with the company, you need to first fill out a great application. You can find this on their home page, down at the bottom of the page. Click the “Careers” link, and you will be directed to an area where you can search through nearby job opportunities and begin the application. Leave yourself plenty of time to finish this—usually about 45 minutes is more than enough, especially if you already have a resume created. Be careful and take your time. Be complete, be accurate, and double check your work before you submit the application. At your interview, it’s important to create a great first impression. Dress nicely, in the appropriate Old Navy brand clothing, and be polite to everyone within the store. Answer questions directly, and be prepared to ask a few of your own on how you will fit in to the store’s culture. This will be a great way to impress a hiring manager and better your chances of securing a position.